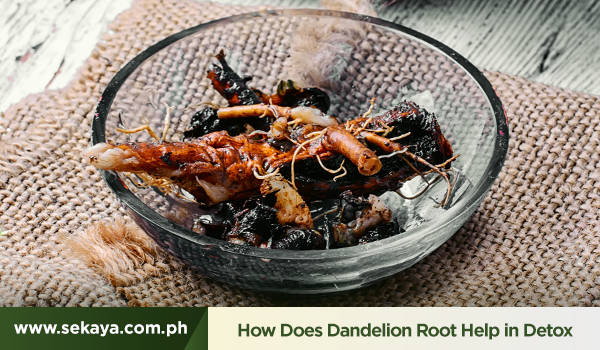 Dandelion Root: How Does it Help in Detoxing? Dandelions are more than just pretty wildflowers. Each part of the flowering plant is edible, and people have long discovered its many health benefits. One of these health benefits is detoxification, wherein the body rids itself of toxins that can take a toll on one’s health. With the amount of toxins we unconsciously encounter everyday, detoxing has become a healthy necessity. Herein comes dandelion’s roots, proven to be effective detoxifiers. What are the health benefits one can gain from a dandelion’s roots, and how can it help in detoxing? Antioxidant Properties: Antioxidants help prevent certain types of cell damage caused by free radicals. That puts antioxidants on top of the list when it comes to maintaining healthy body processes. Dandelion roots, when brewed as a tea, retain their antioxidant properties, and help protect the body from the harmful effects of free radical damage. Increases Bile Flow: Our livers produce bile, which in turn helps enzymes in the body to filter and detoxify our blood. The nutrients present in dandelion roots contributes to the faster production of bile, helping in breaking down fats into fatty acids for faster processing in the body. Improves Digestion: The dandelion root helps improve the appetite when consumed, either when brewed as a tea or eaten as is. Historically, it has also been used to soothe minor digestive ailments, and possibly relieve constipation. Increases Urine Production: The dandelion root is known as a powerful diuretic, which means that it increases the body’s production of urine. Increased urination helps flush out bladder bacteria, which is why dandelion root tea helps in treating bladder infections. Sekaya Botanic Infusion takes all of the dandelion root’s natural healing benefits and combines it with other botanicals to maximize its detoxifying properties, validated by scientific evidence. The dandelion root plays an important role in Sekaya’s detox and cleansing teas like Gentle Detox, and an ingredient in the digestion tea Regular Move.